Pre-Renovation Advice Cold Lake | Pre-Renovation | Cold Lake Consulting Inc. 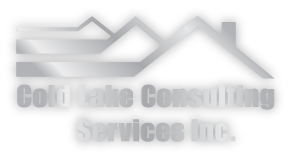 The team at Cold Lake Consulting has over 31 years of experience in the home construction and renovation industries. We don’t perform the renovations ourselves anymore, but use our experience to pass valuable advice and information on to homeowners for their own renovation projects. Whether you’re replacing your home’s roof or repurposing a room, we’ll make sure that you have everything you need to make informed decisions throughout the process. The most important thing to consider is the speed in which you would like to have your renovation project completed, which will also help to determine the overall budget in which you are working with. If you are considering several projects, which are the most important? You will need to use a logical order. If your roof is leaking, you will need to re-shingle before you lay your hardwood flooring. Do building codes and local by-laws limit what and how you renovate? It can be heartbreaking to discover that your renovation project, in which you have spent hours planning, is not allowed. Talk to your municipal building department and find out about zoning and permits. Is it possible for you to achieve your renovation desires while staying within your financial range? Do you need to explore the options of renegotiating your mortgage or taking out a personal loan? Will your credit card handle the material costs, and necessary tools? Should you do the project yourself or hire a contractor? What are your renovation limitations? Know what jobs you can do and what jobs are best left to a qualified trades person. It is most realistic to hire a contractor to safely and successfully upgrade or replace electrical wiring, move or repair your plumbing needs or replace a furnace and reroute your ducting. Can you live with the mess? Be realistic about the disruptions that the renovations can cause. Will you be able to use your kitchen to make meals? Will your water and/or electricity need to be turned off? Will everyone be safe during the renovations? If you have young children or people with disabilities in your home, you will need to consider the safety of everyone during the renovations. Power tools are dangerous to have around with little children, so will there be another child care provider to watch the children? How in-depth do you want to go during the renovation? Do you want to replace a whole sheet of drywall to repair a hole in the wall, or would you rather patch it and repaint? How much money and time are you willing to spend on the project? Can you do it yourself or would you prefer to hire a contractor? Our team will help you work through these questions to ensure that your renovation project runs as smoothly as possible. Give us a call today to arrange for a consultation.